Here's a gift anyone would love to receive. 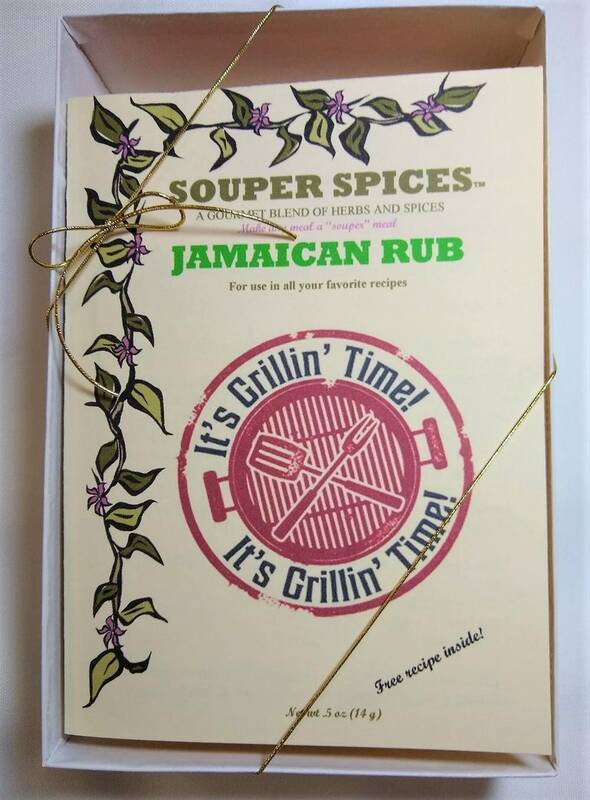 A four card Souper Spices Gift Set. Easy to buy, easy to give and no wrapping necessary with my clear view box embellished with a gold bow! Each card has its own Free and scrumptious recipe inside. Choose from 7 different gift sets OR create your own! Just convo me. Basic Directions: Use one tablespoon in stocks, stews, soups, sauces. Sprinkle on meats, fish, poultry and pasta. Blend in marinades and salad dressings or butter and cheese spreads. Serving size: 1 Tablespoon -Contains: 5 servings per card.